Whoops, how did that happen! 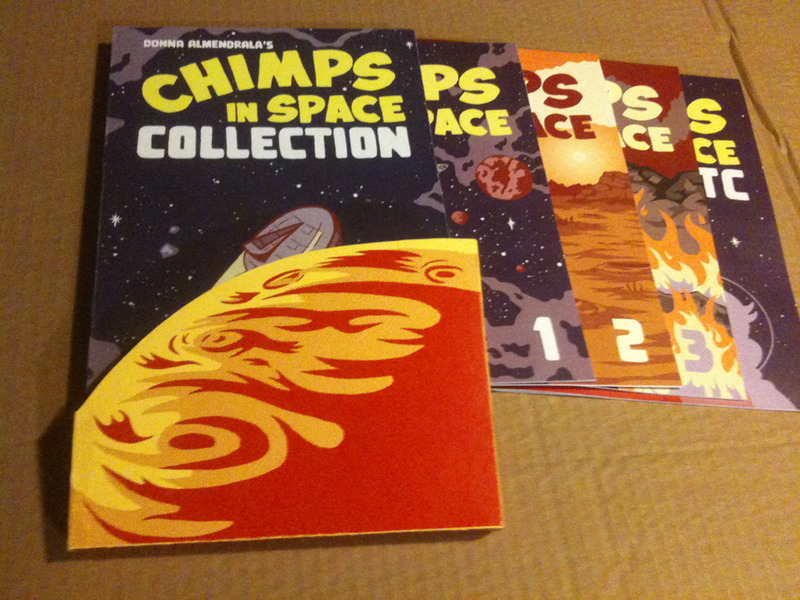 But, here without delay, I wish to present to you the fruits of my labor, The Chimps in Space Collection. Yessir. That’s three books of adventure and one book of bonus material that I’ll be presenting to the thesis committee in the next few days. 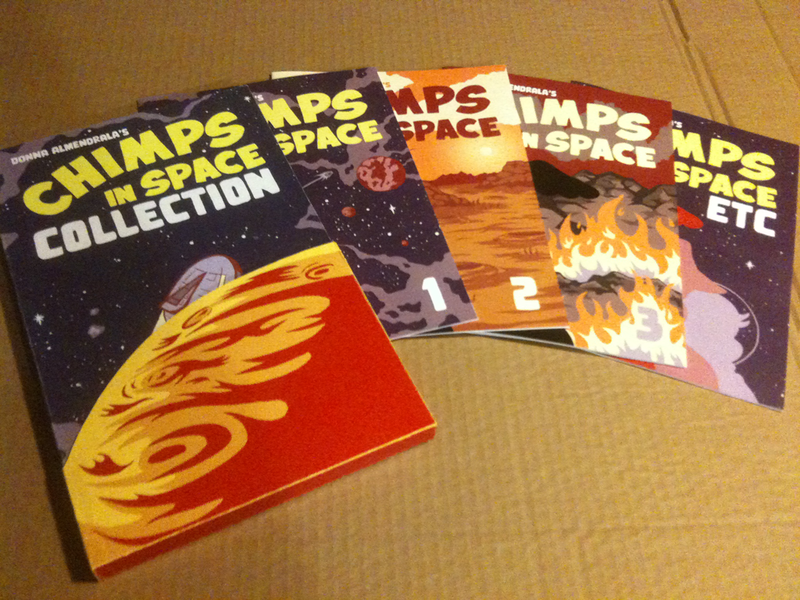 These are bonafide full-color covers with delicious black and white interiors. 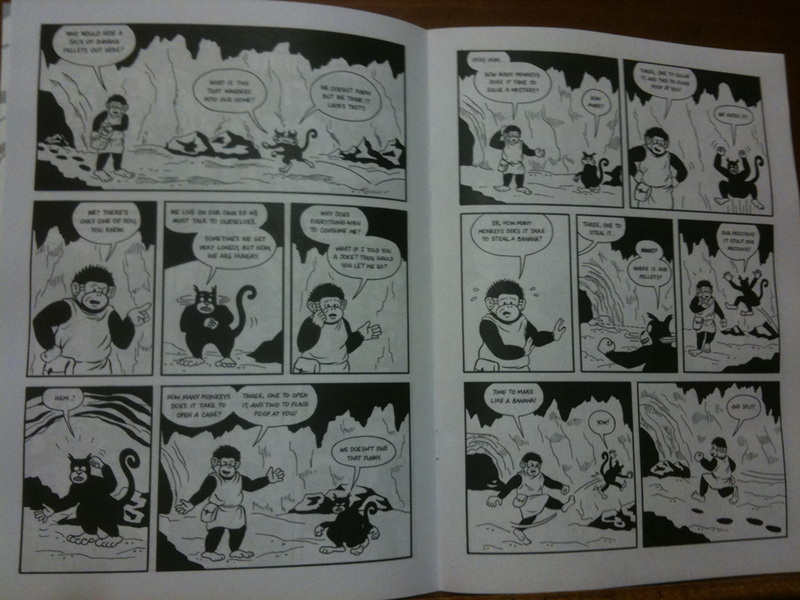 Over 48 pages of mayhem and misdeeds. Oh, and that’s not all. This weekend I’ll be going to MoCCA fest in NYC to table with my cartooning buddies Bill Bedard, Melanie Gillman, and Amelia Onorato. Come on over to table E18. It’s right next to E17! You can’t miss it. Just stick your fingers out and feel around for spaceships and bananas. I’ll be selling each book for $5 or all three for a special debut collection price of $10! I know what you’re thinking. And yes, the answer is always yes. 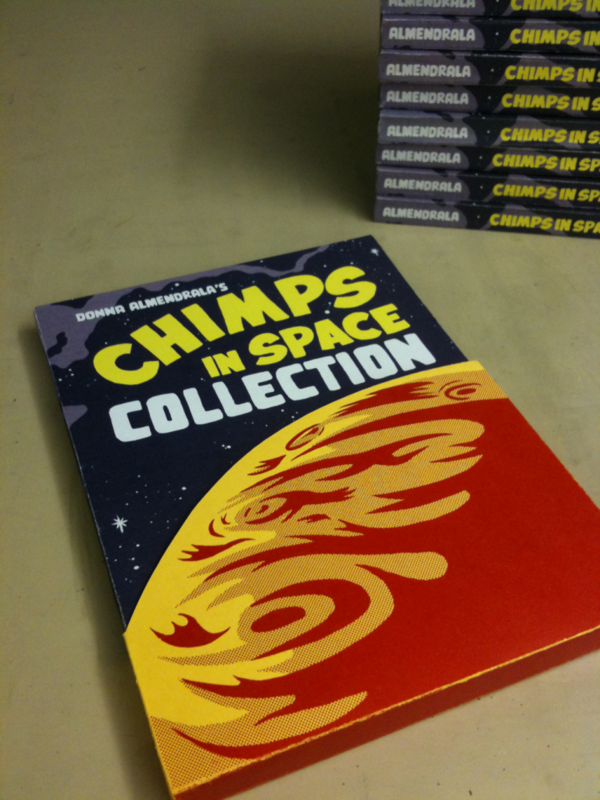 This entry was posted in CCS, Thesis and tagged chimps, comics, planet of the apes, star trek. Bookmark the permalink.